As I mentioned in my last post, The Dos and Don’t of Character Chemistry, I love to write stories with huge casts. As a historian, coming up with characters is easy for me, I always start the process with real historical figures, twisting and combining traits from different ones until my characters take shape. Unfortunately, most people don’t have a large collection of interesting biographies at their disposal and that’s okay, because writers pull the bulk of their fictional characters from a finite set of archetypes. In my next few post I’m going to lay out some of these key character types, and give examples from movies, books and TV for each of them. This first entry deals with three major character types, often used for mature protagonists and antagonists. This character is usually the main protagonist, but not always. Some stories, especially those with battle elements, can have many heroes. Heroes include a large number of subcategories, like the born hero, someone destined for greatness by an exterior force or a magical element or prophesy. Family birth order can also predict the future hero: the first-born child or the seventh son. A hero can be someone groomed and trained for the role because of superior skills, magical ability, or a natural physicality for fighting. These heroes become warriors regardless of temperament and although any type of hero can falter at a time of crisis, the trained heroes are the most likely to have feet of clay. I enjoy seeing a reluctant or unlikely hero because these ones are everyday people who don’t see themselves as powerful. Against all odds, the reluctant hero manages to rise above their limitations and save the day. J. R. R. Tolkien was a master of constructing heroes. 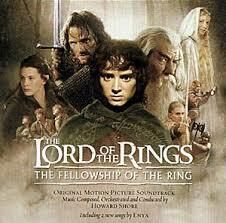 He gave us a host of different types to study in the Lord of the Rings. Samwise, Frodo, and the other Hobbits are all reluctant heroes. Gimli and Legolas are trained heroes. Aragorn is a born hero, destined to repair the mistakes made by his ancestors. Boromir is a flawed hero. When you add Gandalf, Elrond, Arwen, and all the others you can study hero archetypes all day with Tolkien. In every aspect of life, work, home, school, someone needs to be in charge and it’s seldom the hero. The leader isn’t always the protagonist, they can act as a minor character, or an even as an antagonist. You can find them in the thick of action calling all the shots, or running the show from behind closed doors. The boss is a complicated character; some are uncomfortable with their own power and looking for others to bolster their confidence. Others are dictatorial, exhibiting a self-satisfied air and a condescending tone with others. The boss is often envied, admired, resented, and flattered by those hoping to gain power through association. The boss character is the ultimate balancing act. The writer must draw together enough negative traits to make them seem human, while setting them high enough on a pedestal for the reader to believe they are in change of everyone else. To study a leader protagonist, watch any Star Trek show. 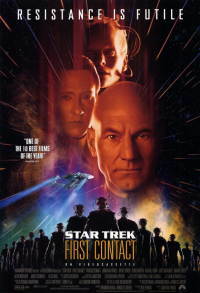 Just about every incarnation of this franchise from Chris Pine to William Shatner, has an interesting ship’s captain with a unique set of traits and dynamic leadership style. This is often an elder character and a protagonist, or co-protagonist. The mentor comes into the story at a critical transition point, often when the younger character needs direction, guidance, training or a helpful gift. Mentors range in teaching styles and story significance, but they always share a strong one-on-one bond with the student. Just about every story can benefit from a mentor, and mentors show up in some unlikely places, like Q in the James Bond franchise. I enjoy an author who gives me an unconventional mentor, one that doesn’t realize his own significance, or care if others value their council. Watch K from the Men in Black films for this type of mentor. Mentors are predominately positive characters, but some writers manage to pull off a malevolent mentor. That’s a challenging task, but it can lead to exciting results. Watch/read The Goblet of Fire to see how Mad Eye Moody executes the evil mentor twist. Remember archetypes are just examples. Great writers find ways to mix these characters and give them a fresh spin and a unique stamp. However, once you know what you’re looking for, it’s hard to miss these character types, and recognizing each archetype is the first step toward conquering them.